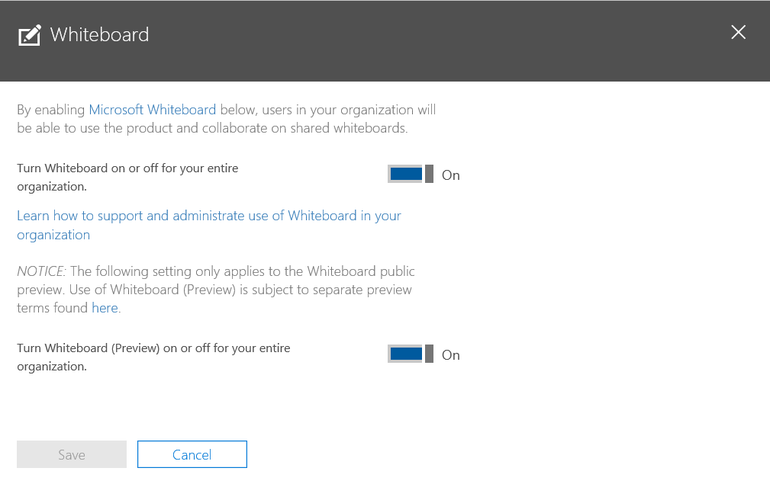 How to enable access to Microsoft Whiteboard for Windows 10: Some of the best ideas, business-related or otherwise, have come from a group of motivated, brainstorming people gathered in a conference room eating pizza in front of a whiteboard. The collective exchange of free form ideas seems to stimulate creative thought like no other collaborative exercise and is a common and proven practice in many business enterprises. Of course, the mobile and dispersive nature of business these days means that many teams are unable to gather in a single location to toss ideas at a physical whiteboard. This is where technology steps in with mobile-aware devices and systems that allow team members to meet and collaborate with a digital version of the common whiteboard—unfortunately, it’s also bring your own pizza. The switch that allows access to the preview version of the Whiteboard is buried deep in the Office 365 Admin Center settings menu and it is set to Off by default. Once the app is released from preview, that setting’s default will be changed to On, and users will then have permission to download and install the Whiteboard app. If your organization does not what that to happen for whatever reason, the switch must be changed back to Off. Open and log into Office 365 and open the Admin Center. Navigate to and then expand the Settings menu item and click on Services & ad-ins. At the bottom of that lists of links you will find the Whiteboard setting page. When you click it, you should see a control panel that looks similar image file. 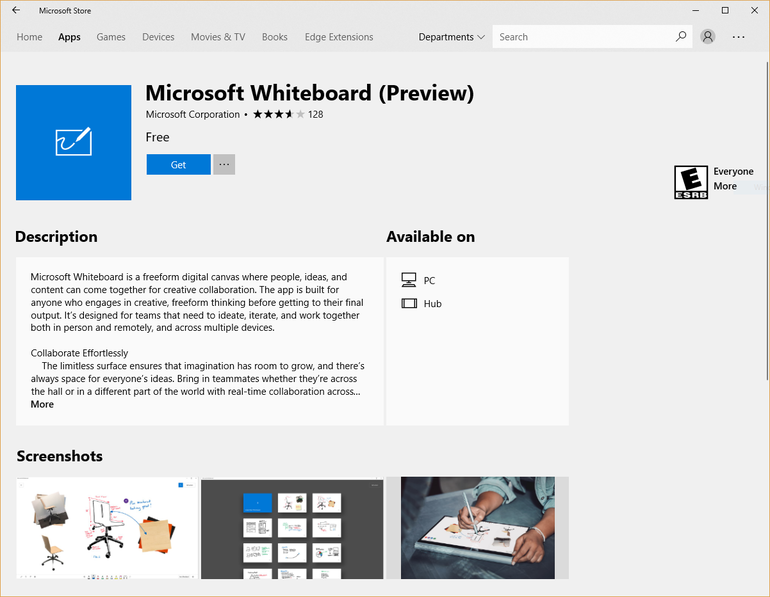 To find the app, open the Microsoft Store, navigate to the Apps section and search for the term “Microsoft Whiteboard.” The top entry in the results should be the app you are looking for, click it and you should arrive at the download page. Click the Get button and the app will download and install in less than a minute. 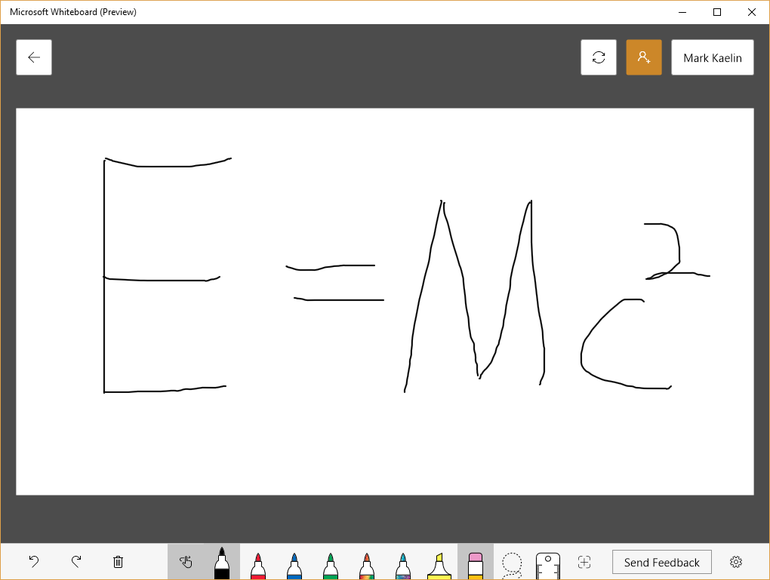 You can pin the Whiteboard app to the Taskbar or the Start Menu and launch it for your next brainstorming session. Who knows what great ideas you and your team can come up with using the power of this technology.